Neil Brown joined the Times in October 1993 as world editor overseeing national and international affairs. In May 2010, he was named editor and vice president. Before joining the Times, he served four years as managing editor of Congressional Quarterly, a weekly magazine devoted to national politics. 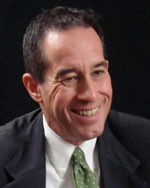 Before joining CQ, he spent eight years as a reporter and editor at the Miami Herald, covering government and politics. Brown is a Phi Beta Kappa graduate of the University of Iowa and is a member of the journalism school’s Hall of Fame. He is a member of the American Society of News Editors’ Board of Directors and a past president and board member of the Florida Society of Newspaper Editors.